Brisbane Convention & Exhibition Centre is an easy 10 minute walk from the CBD and has direct access to an efficient transport network. South Brisbane Railway Station is adjacent to the Convention Centre on Grey Street. The city to airport Air Train operates from the South Brisbane train station, adjacent to the Convention Centre. South Bank is serviced by two bus stations: The Cultural Centre Station on Melbourne Street and the South Bank Bus-way Station corner of Colchester and Tribune Streets, South Bank. Who is exhibiting at the show? A list of exhibitors will be uploaded to the website a couple of weeks prior to the show. What time and day is the show open? The show is open from 10AM until 8PM on Fri 23th and Sat 24th of August. The show is open from 10AM until 6PM on Sunday 25th August. 5-17 years (Children under 5 are Free) – An accompanying Adult or Concession ticket must be selected before a Child ticket can be purchased. Tickets can be purchased online or on the day at the entrance to the show. Online tickets will be available in 2019. Is the show wheelchair friendly? The venue is wheelchair accessible, although some assistance may be required should you wish to board a particular boat. Can I bring food, drinks, alcohol? Alcohol is not permitted to be brought into the show, however we request that you refrain from consuming your own food while in the venue, where you can purchase food and beverages. Only assistance and guide dogs are permitted in the venue. Please leave your other pets at home. I’m with the media. Is there a special pass? 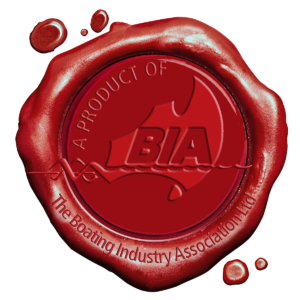 The Boating Industry Association Ltd welcomes bona fide members of the media concerned with editorial content. Please contact marketing@bia.org.au for media packs and accreditation. I’d like to exhibit. Is there still room? Late availability does sometimes arise. Please email info@bia.org.au or call the Boating Industry Association Ltd office on (02) 9438 2077.
Who is the organiser of this show? The Boating Industry Association Ltd (BIA) organises this show and many other boat shows around the country. The association is also responsible for the administration and management of many recreational boating activities and advocacy affairs within New South Wales, South Australia, Queensland and Northern Territory. Contact the BIA.